yoga im graefekiez · My primary teaching home in Berlin, in the charming Graefekiez. yellow yoga · Home to my Monday morning class, Yellow offers subsidized classes for low-income students in Kreuzberg. yoga with lorna · Fellow Berlin teacher and friend Lorna Neuber specializes in terrific pre- and post-natal mommy yoga. swan mountain yoga · My friend Victoria teaches Jivamukti- and Yin-style Vinyasa Flow classes in Prenzlauer Berg and Kreuzkoelln. stefanie schmid · Yogini and dancer Stef leads classes, workshops and trainings in yoga, dance and kids’ movement therapy. doretta dow, pryt · Doretta Dow offers yoga and Phoenix Rising Yoga Therapy, a beautiful and liberating form of supported yoga therapy combined with facilitated mindfulness meditation and visualization. Highly recommended. shannon cooney, cst · Sessions with phenomenally talented, native English-speaking craniosacral therapist Shannon Cooney may improve your life as well as your spine. dominik probst · An excellent physiotherapist in Mitte, Dominik speaks not only fluent English but fluent yoga. shiatsu with manuela runge · Brilliant, compassionate Shiatsu in English oder auf Deutsch. latschen kiefer arnika einreibung · Not all arnica is created equal! This is my absolute go-to for strains and sprains, available at many Apotheken. 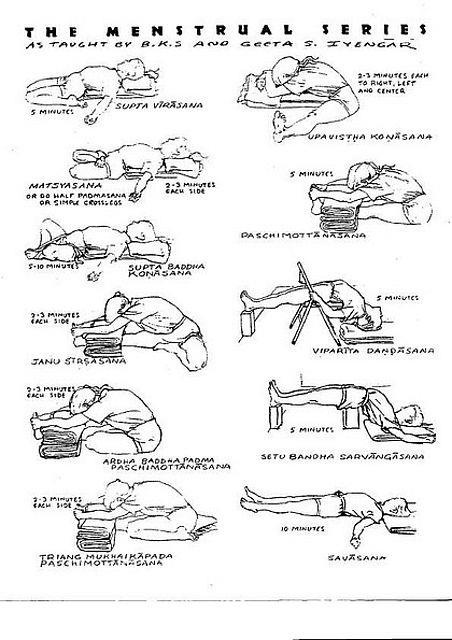 iyengar menstrual sequence · The classic restorative sequence to relieve stress and discomfort during menstruation. It works! www.ishtayoga.com · The online home for ISHTA Yoga in NYC and the teacher training program I co-created. www.jaiuttal.com · Jai Ma! My favorite kirtan teacher/performer, Jai Uttal is continuously offering retreats, trainings and events in the US and abroad. www.mindbodyonline.com · MindBodyOnline is the industry leader in studio management solutions for yoga and wellness professionals worldwide. www.harpers.org · Feed your head progressive analysis from classic lefty mag Harper’s Magazine. www.newdream.org · Simplify your life and “go green” with tips on buying locally, organically and responsibly from Center for A New American Dream. www.wwoof.org · Not your mom’s exchange program: see the world via work exchange at an international organic farm or progressive community center. www.cjhopkins.com · Brilliant writer, artist and teacher (and my husband!) CJ Hopkins.